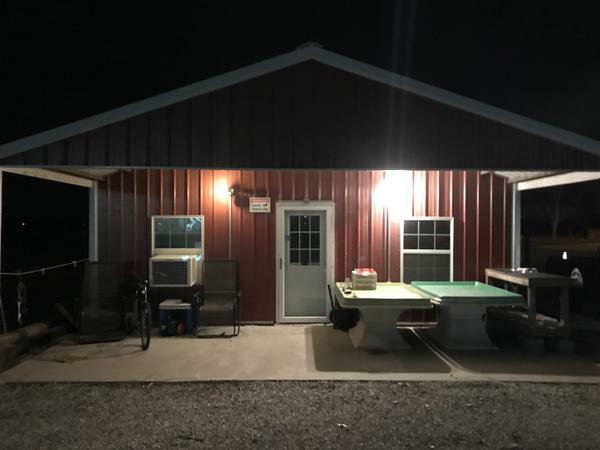 Andrew Joyce's shuttered produce stand near Malden, Missouri, won't open this summer due to last year's severely damaged crop. Harvest Public Media's Jonathan Ahl looks at the next front in the dicamba fight: specialty crops. 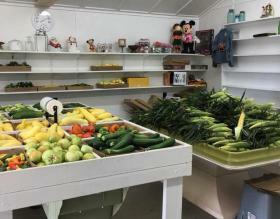 Joyce said his produce was so heavily damaged by dicamba drift that he lost money — he wouldn’t say how much — and had to start driving a forklift in town to make ends meet. 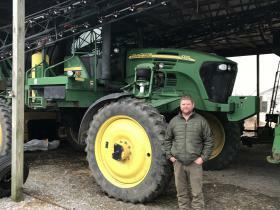 Tommy Riley also farms in this area of southeast Missouri, known as “the bootheel.” Dicamba has been a lifesaver for his 4,000 acres of cotton and soybeans, the latter of which he uses Bayer’s Xtend seeds, which are dicamba-resistant. And that’s where the dicamba battle lines have shifted: Row-crop farmers in Missouri, Illinois, Indiana and Arkansas overwhelmingly now use dicamba, realizing it’s their best chance to protect against damage. But specialty-crop farmers are still at risk, and feel they are running out of options on how to fight back. Dicamba is a potent chemical, and its main issue is drift. When not applied properly, the weedkiller can easily be blown by the wind from one farm field to another, sometimes for as many as 10 miles. Dicamba damaged 3.6 million acres of soybean fields in 2017 and more than 1 million acres in 2018. Yet, farmers spread dicamba on more than 50 million acres in 2018. The U.S. Environmental Protection Agency has approved dicamba use for two more years. And while the rules are federal, enforcing proper use is largely up to state departments of agriculture. “We do full investigations and can apply civil penalties in the case that we find evidence to support it,” according to Sami Jo Freeman, spokeswoman for the Missouri Department of Agriculture, which has sees more than 100 complaints about dicamba each year for the past two years. That’s why Joyce joined more than 1,000 other farmers in a class-action lawsuit against Bayer and BASF, which may be their only recourse for some kind of compensation for dicamba-drift damage. That suit is scheduled to go to trial in October in St. Louis. Joyce said he’d rather not get involved with legal matters, and understands there are some tough weeds that can hurt crops. Riley argued, however, that he and most other farmers are careful about how and when they spray. Riley said he won’t use dicamba on fields that are too close to New Madrid, Missouri, which is near his farm. The dicamba debate is fueling advocates of a different approach to farming. Jim Worstell, Executive Director of Arkansas-based Delta Land and Community Organization, said eventually, weeds will become dicamba-resistant, something that researchers at Kansas State University just confirmed is happening, and a new pesticide will take its place. He’d like to see all farmers need to get off what he calls the chemical treadmill and follow the lead of those who don’t rely on pesticides. Though dicamba use is extended into 2020, Joyce thinks the EPA will eventually change its mind. And until then, he wondered where his customers will go for their squash, sweet potatoes and green beans.